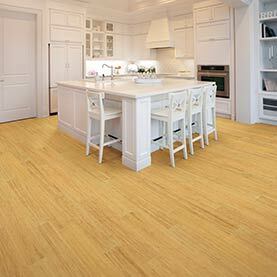 XCORA® bamboo flooring is the hardest hardwood on the market. 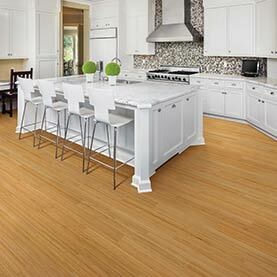 Teragren’s revolutionary Xcora® strand bamboo flooring averages 160% harder than red oak. These floors offer hardness, durability and stability that are perfect for high-traffic areas in both residential and commercial settings. PUREFORM™, where it all began – our original style known as the PureForm™ line is still popular today. 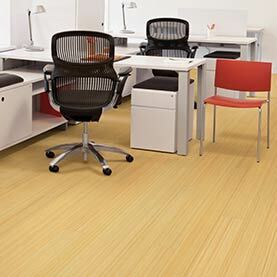 Solid PureForm™ Bamboo averages 40% harder than red oak, these floors are a great fit for a family or an office. See it for yourself at a dealer near you. Teragren offers 2 different basic designs. 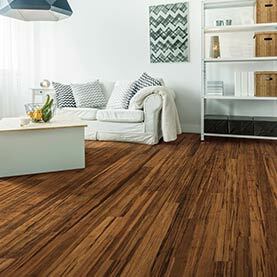 Our traditional PureForm™ ﬂoors oﬀer a classic “bamboo look”, while our Xcora™ strand bamboo ﬂoors feature a hardwood look-alike grain pattern. Review the specfic colors available within each of these flooring collections and decide what is going to work best for your design needs. 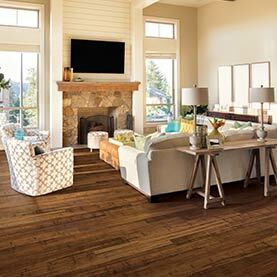 Teragren ﬂooring, just like any hardwood ﬂooring, comes in both a solid and an engineered construction. Depending on factors such as geographical location, type of sub-ﬂoor, and whether or not the ﬂoor needs to work in the basement, will decide what floor is best for your situation. Another important practical consideration is how you plan to install the ﬂoor. 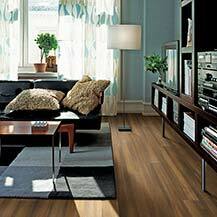 Flooring can be installed by nailing, stapling, gluing or ﬂoating. Not all options work with all ﬂoors. 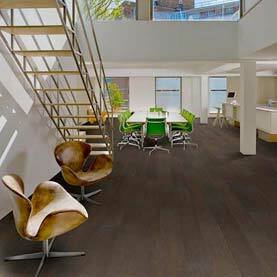 Best practice is to consult your contractor or ﬂooring installer on what the needs are for your particular project. Once you know what you need, you can make an educated decision on what will suit you best. Now comes the best part. Once you have have decided on solid or engineered bamboo floors, all that’s left is to ﬁnd a color and style that you love. Color is important of course, but there are also various textures available, different lengths and widths to consider. There are also unique ﬁnishes for different lifestyles. Explore all the options Teragren offers. We are confident you’re going to ﬁnd the perfect floor for you. 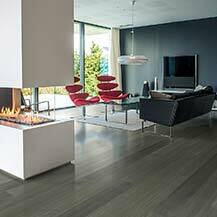 Find a Teragren flooring dealer near you. Teragren’s Dealer Locator. 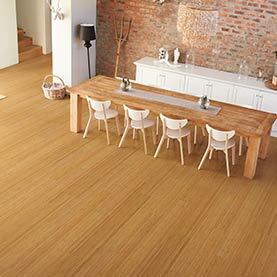 Teragren specializes in producing high-quality bamboo flooring, panels, veneer and countertops for the home or office.